Our product range includes a wide range of crockery unit box and crockery cabinet. Highly acclaimed manufacturer and of Crockery Unit Box; our company has achieved new milestone in this domain and industry. These crockery units are designed in bulk in order to meet the ever-growing demand of our clients. Adequate storage space and impeccable finishing distinguishes our units from other such units available in the market. 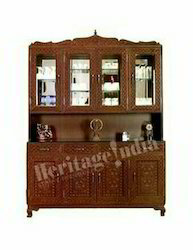 Besides, these units are offered at reasonable prices to our beloved clients. 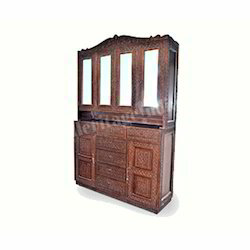 We are providing Crockery Cabinet¿¿to our client.